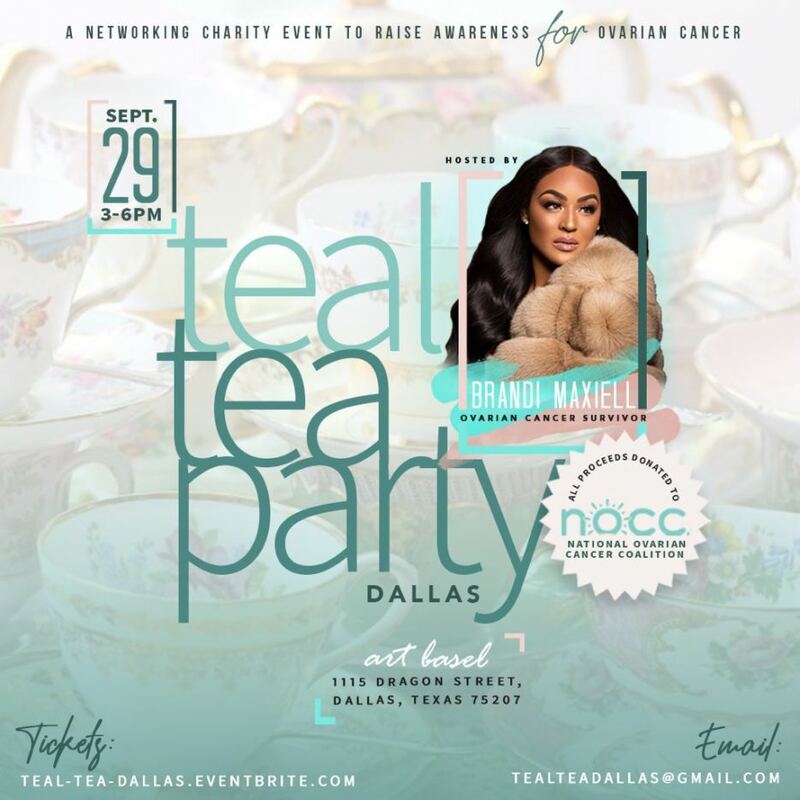 Sept. 6, 2018 - PRLog -- Brandi Maxiell; entrepreneur, mother, and television personality is back again with her annual "Teal Tea Party" in honor of Ovarian Cancer Awareness month. The television personality is celebrating 10 years remission of the disease and is excited to assist in raising awareness and giving back to the disease that she never let defeat her. "I was a young girl trying to live my life and then I get the news that I'm diagnosed with cancer, I thought it was a death sentence." Maxiell speaks on her initial reaction upon finding out about cancer. She has made it her mission to bring awareness, help others battling, and encourage young women going through it or even in remission to feel empowered, beautiful, and strong despite this disease. Proceeds from the event will go to National Ovarian Cancer Coalition. Boom Cups Does it Again at their Celebrity Pro Bowl Showdown!